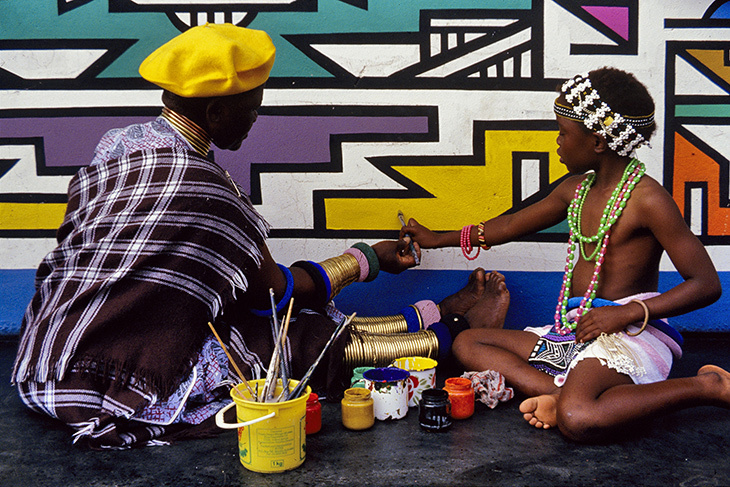 As apartheid began to crumble in South Africa and the release of Nelson Mandela became imminent, I began a zealous campaign to bring the plight of the Ndebele people to a wider audience. I was able to persuade renowned magazines to dedicate space to Ndebele art using it as a backdrop for fashion shoots with Iman, and BBC and CBC to document the lives and creativity of Ndebele women. 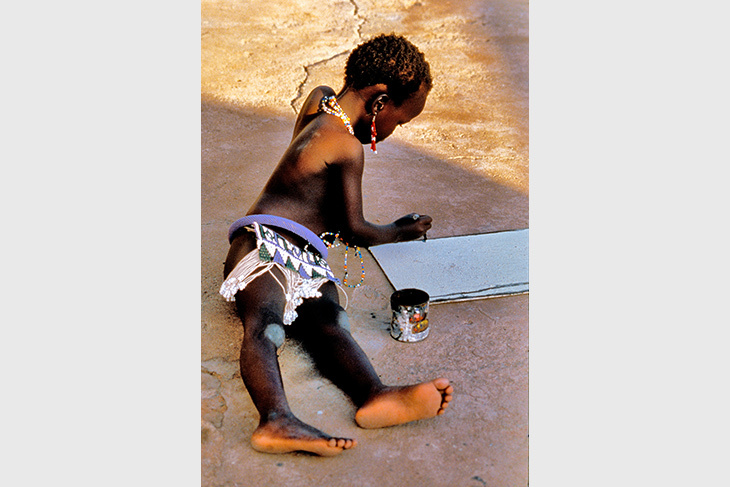 These projects, as well as traveling exhibitions of my photographs, brought worldwide awareness to this vanishing tradition and placed the Ndebele people firmly on the map of world art. A children’s book, My Painted House, in collaboration with my sister friend, Maya Angelou, gave birth to my dream of a Center in which this art could be taught to the children and passed on to future generations. In the face of enormous obstacles, I raised money to build a Cultural Center for Women and Youth in Mabokho, the heart of the Ndebele people's land. I dedicated 10 years to establishing a viable, self-sustaining enterprise that produced traditional Ndebele art and beadwork, before placing the entire project in the hands of the local community. In August 2009, an ‘experimental’ home measuring 32 sq. metres was built in DRC, Swakopmund, to replace a shack that flooded with water after the rains, floated in toilet overflow, that reeked from sewage and burnt plastic from a gas burner, was riddled with ants and roaches, that was cold in winter and oven hot in summer, and piece by piece blowing into the desert. 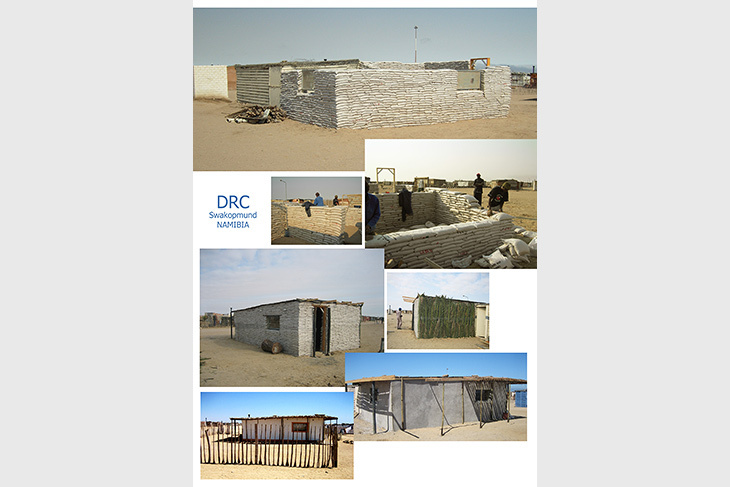 In DRC (and many other parts of Namibia) there are hundreds of homes in similar, if not worse, condition.